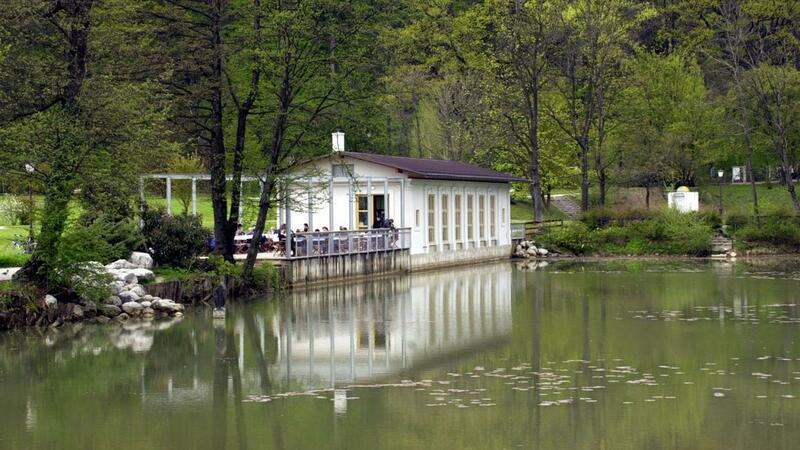 In a country with several spectacular lakes, a pond in Ljubljana’s Tivoli Park seems unremarkable at first sight. However, it has been an important gathering spot for more than a century and it has become a part of the city’s history. In 1880, the city government in Ljubljana decided to create a pond where city dwellers could enjoy the beauty of their surroundings. A meter-deep artificial pond was built on the edge of the Tivoli Park. By the end of the 19th century, the pond was a popular spot for recreation, particularly boating in the summer and skating in the winter. But it was also a site of political tension. At the time, the city was split between its German and its Slovenian communities. A German association held a long-term lease of the pond and its facilities – a fact that annoyed the city’s Slovenians, who organized several covert actions to disrupt the Germans. One night, they even managed to replace a German flag next to the pond with a Slovenian one. Ultimately, the Germans gave up and handed the pond to the Slovenians. Over the years, new infrastructure sprung up next to the pond, including a boat shack and several pavilions. But habits changed, and in the interwar period, the condition of the pond deteriorated. By the second part of the 20th century, the small lake was overgrown with plants and filled with trash. It had also acquired an unpleasant smell. The city has recently has decided to clean up the pond. Experts removed invasive species from its waters, helping native plants, fish, and amphibians to thrive. In fact, the entire area has been declared a part of a nature reserve. The former boat shack has also been repaired. It now houses a café, where the people of Ljubljana can relax as they enjoy a view of Tivoli Park, with Ljubljana’s skyline in the distance. On particularly beautiful days, the scene recalls the era when the Tivoli Pond was at the heart of the capital’s social life.